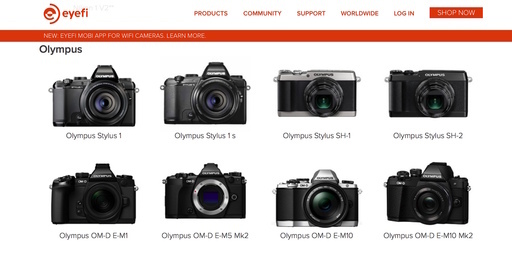 Version 5.4.7 of EyeFi Mobi is also compatible with more than 50 WiFi enabled cameras. This means that you can integrate image transfer from older models (without WiFi using the Mobi card) and newer models (with built-in WiFi) using just one app. In my testing, the system works, but there are a few details you should be aware of. 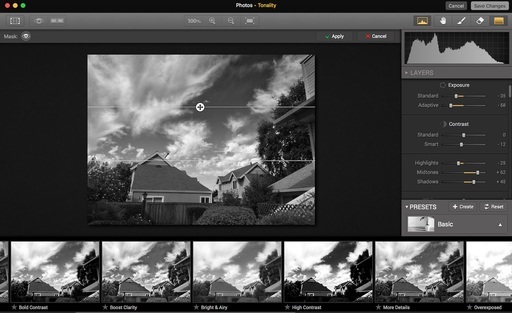 The options are not the same for WiFi cameras as they are for the latest Eyefi Mobi Pro card. 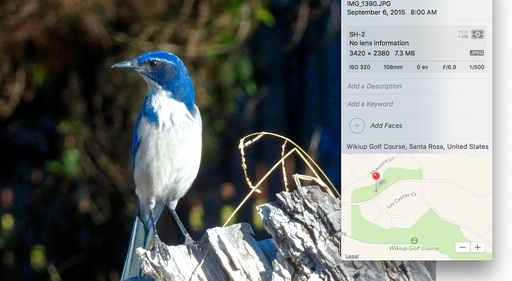 The most notable changes are that with camera WiFi, you don't have the selective transfer option, and if you shoot RAW+Jpeg, both files are sent to your mobile device. For my workflow, this is a big problem. I want to decide which images are transferred to my mobile device, as I can with the EyeFi Mobi Pro. 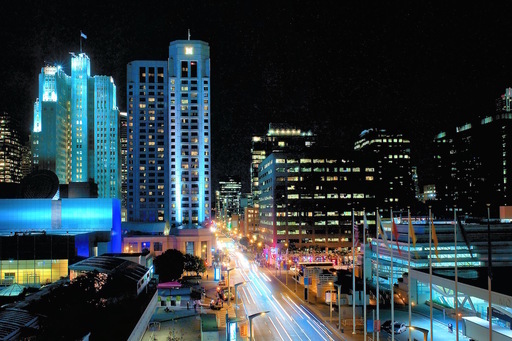 Plus, I need to shoot RAW+Jpeg, but I only want the selected Jpegs to be delivered wirelessly. 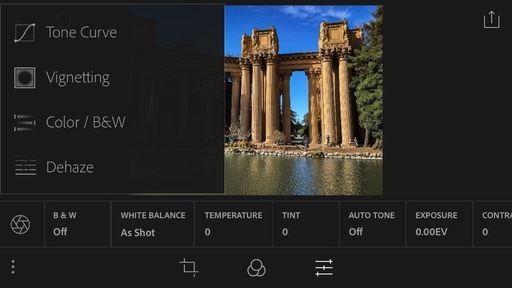 So the bottom line is, yes there are over 50 cameras that can send images to the EyeFi Mobi app, but you don't really have any control over that process. Once you connect the two devices, pictures just start streaming to your smartphone or tablet. There might be some situations where this isn't a problem, and you could take advantage of all your cameras transferring all their images to one location. But for me, I still need the selective transfer of Jpegs only, for the app to be useful with my WiFi cameras. Now that I've had a chance to spend a bit more time with Mac OS X 10.11, I thought I'd share my experience with it installed on a 2012 15" MacBook Pro with Retina Display. In general, performance is very good. Windows open quickly, apps launch cleanly, and things feel healthy. One area that seems to move a bit slower than before is switching from one user to another. Not quite sure what's going on under the hood, but it's not a deal breaker. 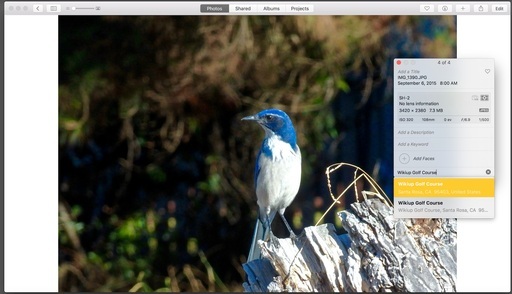 Photos for OS X is the snappy performer that you'd expect from an app recently written from the ground up. The new Photo Extensions are cool. And I like the addition of geotagging. Aperture 3.6 seems to have a stay of execution on El Capitan. The only real bug I've found so far is that onscreen proofing no longer works. Other than that, all seems good. I even sent a print via WiFi to the Epson R2000 from Aperture. Beautiful! 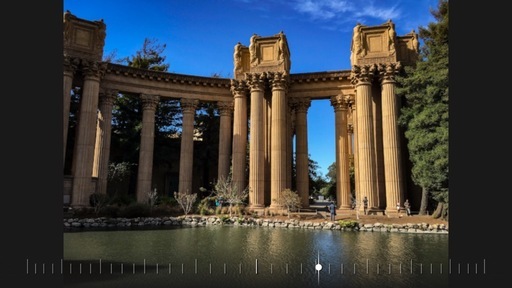 Lightroom CC 2015.2 generally runs OK for me, but there seems to be a few lingering issues in the community. 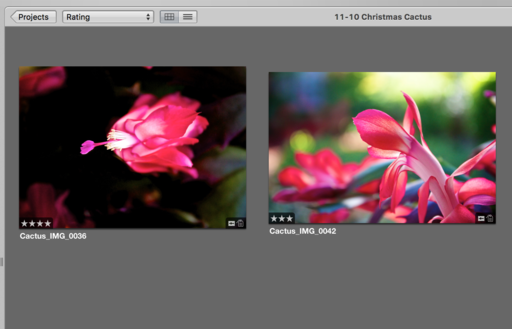 If you're noticing a performance hitch, turn off "Show 'Add Photos' Screen" via the General tab in Preferences. Some feedback from our TDS photography clan has been harsher, with reports of having to roll back to the previous version of the app. I've read online experts recommending holding off on the LR CC upgrade for the time being. 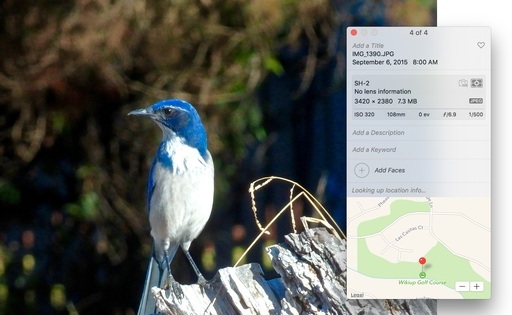 You might want to research this if Lightroom is a mission critical app for you. Audio had been a far more challenging issue for me. None of my M-Audio USB interfaces are working with El Capitan. The MobilePre device just records static, and the FastTrack doesn't capture anything. So my bottom line, after one week, is that El Capitan is a positive upgrade that appears to improve performance. The only current gotchas for me have been some audio interfaces and possible Lightroom hiccups. If either of these are important to you, you might want to wait a bit longer. 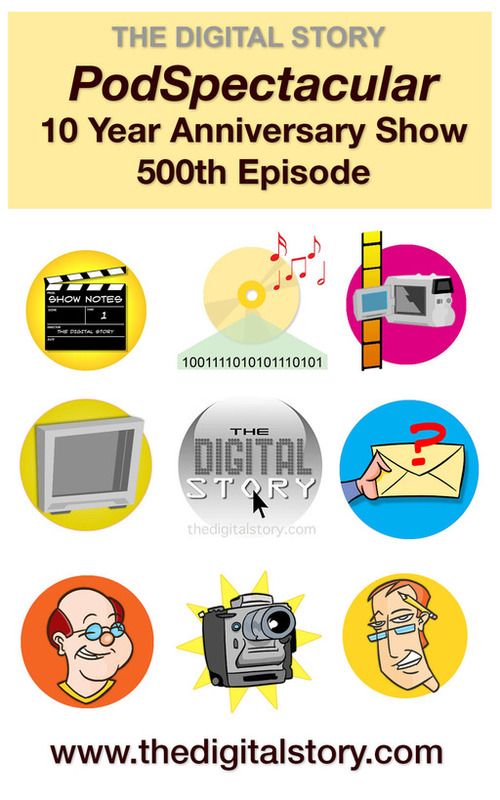 I've covered a lot of ground over the course of 500 podcasts. In this week's 10th Anniversary Show, I play segments from a selection of those previous episodes and tell the stories behind them. It's a 1-hour PodSpectacular Event! Here are the original icons we were going to use for the launch of The Digital Story. The show debuted in October of 2005. Podcasts had just been included in iTunes, and I felt like it was the time to join the party. Over the years I've learned much about broadcasting, technology, and photography. And I've shared that knowledge weekly on The Digital Story. I hope you enjoy this 1-Hour Special Broadcast. If you've been with me for a long time, you'll recognize many of the bits and musical spots. If you're new to the show, I can't think of a better way to welcome you aboard. Join me on my Instagram site as I explore the world of mobile photography. And now Instagram features movies too. Many camera manufacturers still include PC terminals on their enthusiast and pro bodies. This gift is often overlooked by photographers, which is unfortunate, because they're truly useful. 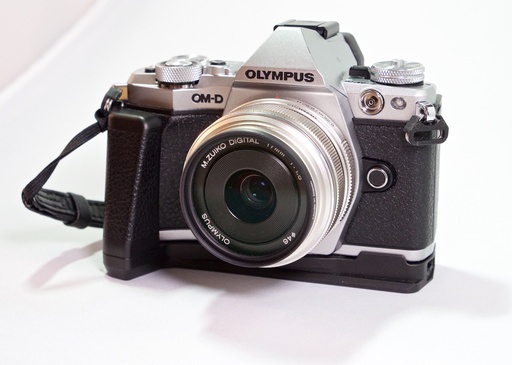 What is that connector on the upper right side of the camera? It's a female PC terminal that can be used to sync just about any flash. I use the PC terminal for off-camera flash work when I don't need (or want) wireless. This is particularly handy at home or in the studio when I want to move the flash a few feet off the camera. Since I'm shooting in manual output mode anyway, all I need is clean synchronization between the flash and my mirrorless. 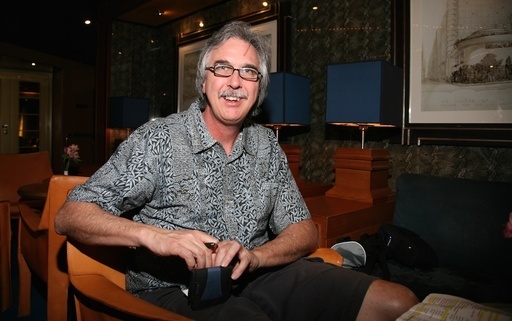 This allows me to use older flashes, or I can adapt any new flash with an inexpensive adapter. Sync speeds remain the same. I can get a clean exposure up to 1/320th of a second on my OM-D E-M5 Mark II. 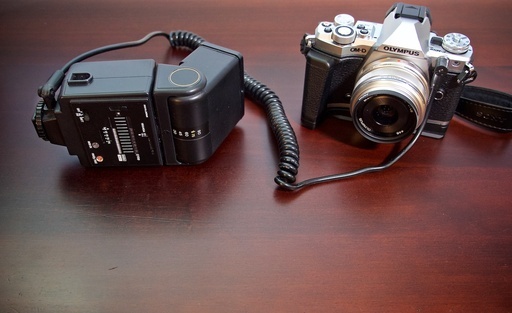 A favorite combination for studio work - The E-M5 Mark II connected to the venerable Sunpak 383 via a sync cord that has a PC terminal on the camera end and a plug that goes directly in the Sunpak on the other. These cords are cheap and readily available. Adorama carries a variety of these cords, such as the Adorama 15' Coiled Sync Cord, PC Male to PC Female for $10.95. How many photo accessories can you purchase for that amount? My CowboyStudio NPT-04 Wireless Triggers include a female PC connector on the receivers, so they can serve double duty (wireless and cord connected), and that set only costs $31. The bottom line is that whether you use PC cords as an easy home studio solution, or for emergency backups in the field, it's nice to have these options. See if your camera has a PC connector on it. And think about how you can put it to use. If you're see what looks like a white screen overlay on the images in your Viewer when running Aperture 3.6 in El Capitan, turn off Onscreen Proofing (View > Onscreen Proofing). This was the case for me after my initial testing on a mid-2012 MacBook Pro 15" running Mac OS X 10.11 and Aperture 3.6. Viewer mode displays image with washed out appearance when Onscreen Proofing is turned on. 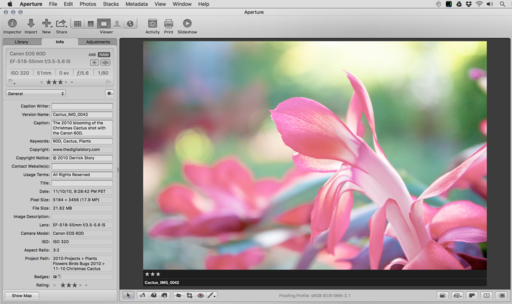 I'll continue to test Aperture 3.6 on El Capitan. So far, this is the first major bug I've found.